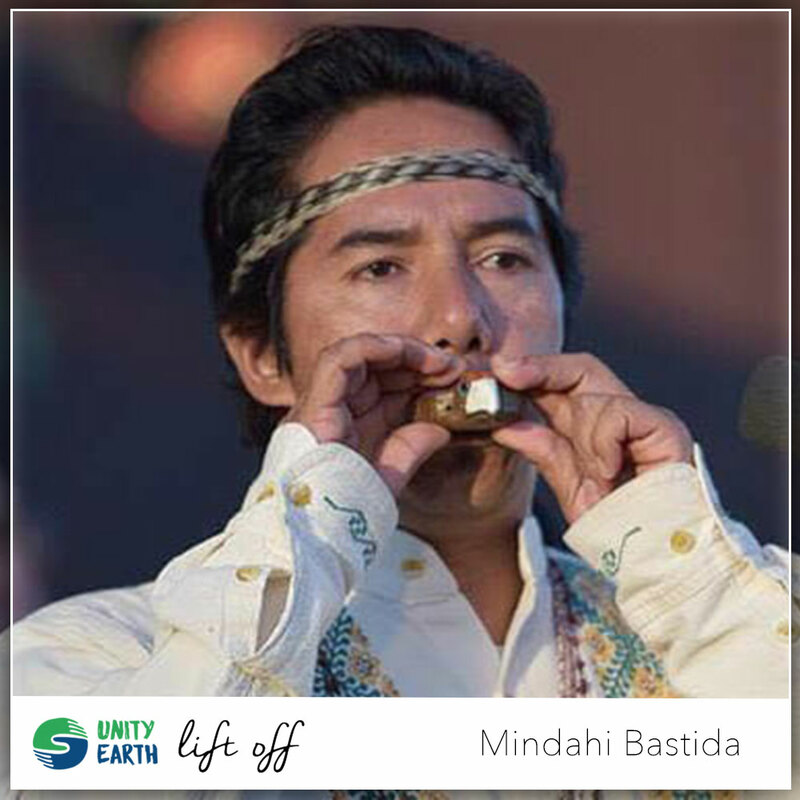 Mindahi Crescencio Bastida Muñoz is the Director of the Original Caretakers Program, Center for Earth Ethics, Union Theological Seminary in the City of New York (2017- ), and General Coordinator of the Otomi-Toltec Regional Council in Mexico, a caretaker of the philosophy and traditions of the Otomi-Toltec peoples, and has been an Otomi-Toltec Ritual Ceremony Officer since 1988. Bastida Muñoz is also the President of the Mexico Council of Sustainable Development, a member of the Steering Committee of the Indigenous Peoples’ Biocultural Climate Change Assessment Initiative (www.ipcca.info/ ), and has served as a delegate to several commissions and summits on indigenous rights and the environment including the 7th World Water Forum in Daegu and Gyeongju, Korea, April 12-17, 2015. Born in Tultepec, Mexico, he holds a Doctorate of Rural Development from the Universidad Autónoma Metropolitana He has written extensively on the relationship between the State and Indigenous Peoples, intercultural education, collective intellectual property rights and associated traditional knowledge, among other topics. 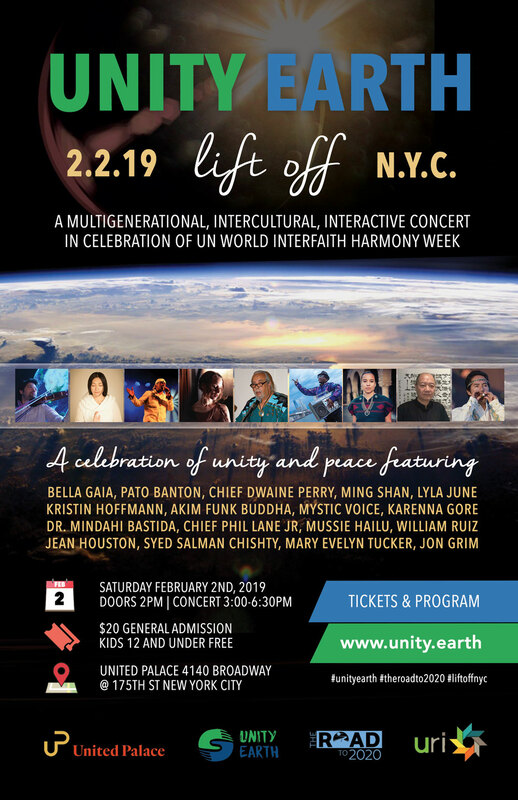 A multigenerational, intercultural, interactive concert and broadcast at the historic United Palace in New York, celebrating the diversity of our human family in a spirit of unity during United Nations World Interfaith Harmony Week 2019. This unprecedented celebration will bring together indigenous leaders, musicians, diplomats, artists, scientists, peacemakers, interfaith and faith-based activists, along with guests of all ages in a colorful celebration of our common humanity. BUY TICKETS BELOW. TICKETS WILL ALSO BE AVAILABLE AT THE DOOR. ©2016-19 UNITY EARTH®. All Rights Reserved. UNITY EARTH is a registered trademark.